Greetings everyone and happy almost New Year! 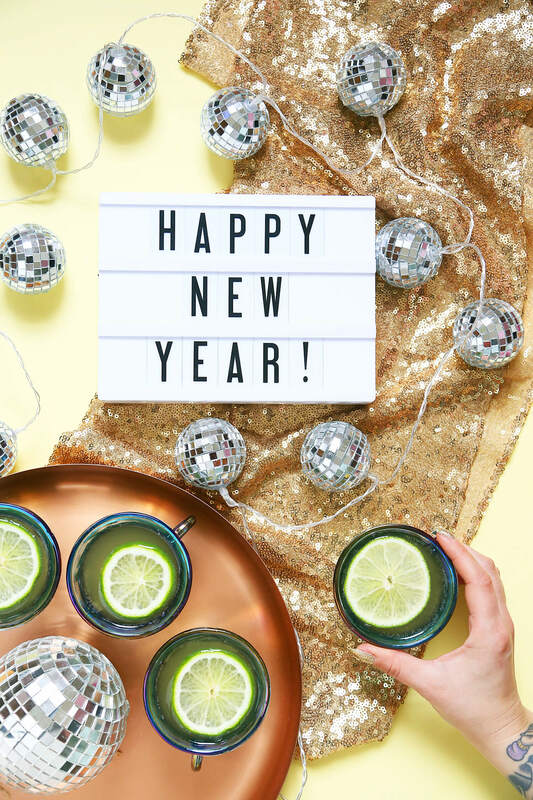 I hope you have some fun plans to ring in the New Year, but if not don’t fret. 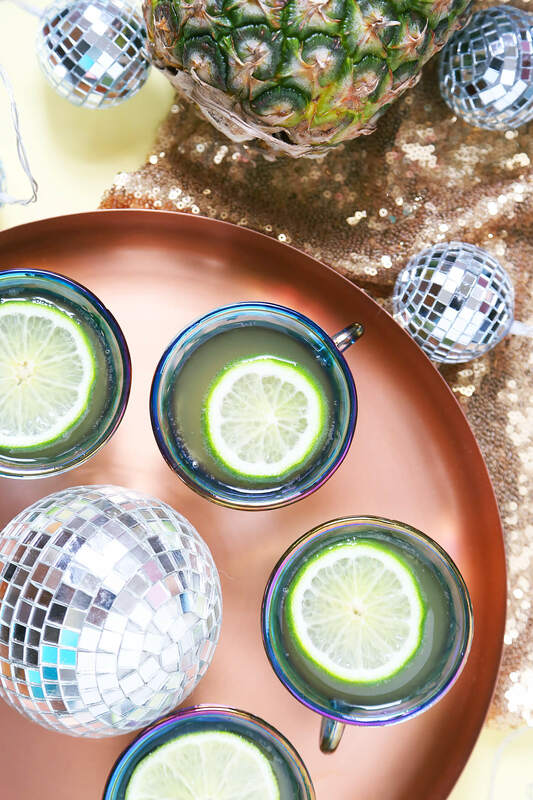 New Year’s Eve is one of those holidays that’s always filled with unrealistic expectations. I have spent most working behind the bar but this year I’m staying home for a low key evening with a few friends. 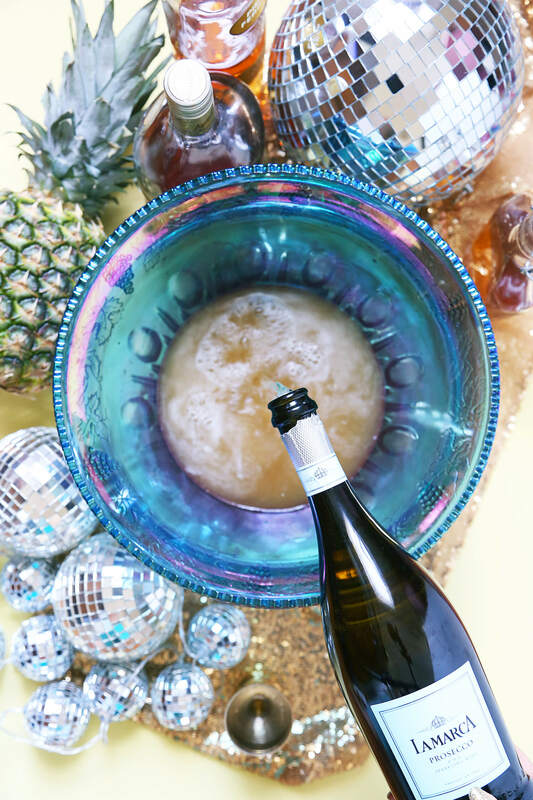 If you’re entertaining, I made this Pineapple Champagne Punch that’s simple to throw together. 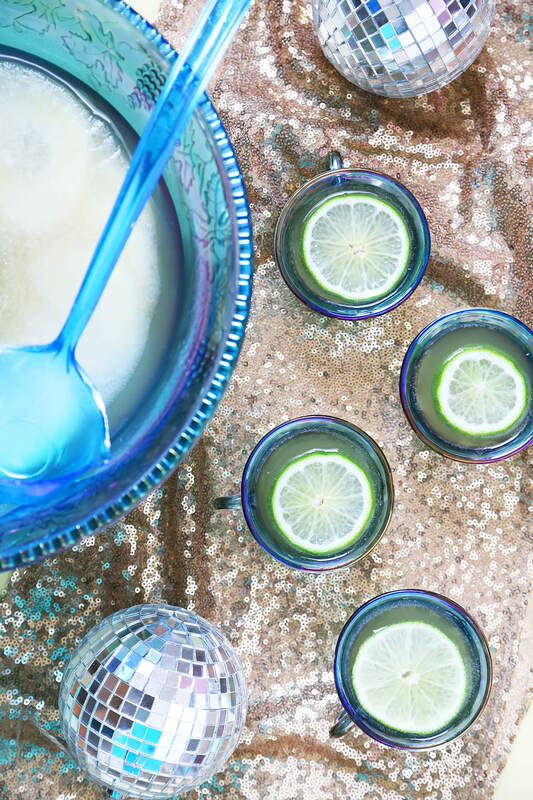 What better way to ring in the New Year than with all my favorite ingredients mixed together in one giant bowl! 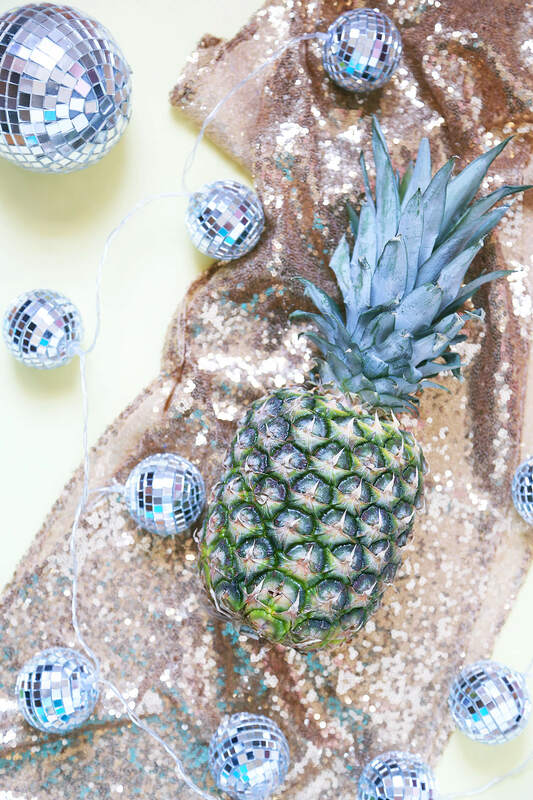 Don’t forget the disco balls! The allspice syrup is super easy to make. Combine 1 cup of sugar and 1 cup of water in a small saucepan with 1 teaspoon of ground allspice. Heat on the stove and stir until all sugar has dissolved. Let simmer for 10 minutes to cook in the allspice. Remove from heat and let steep for another 10 minutes. 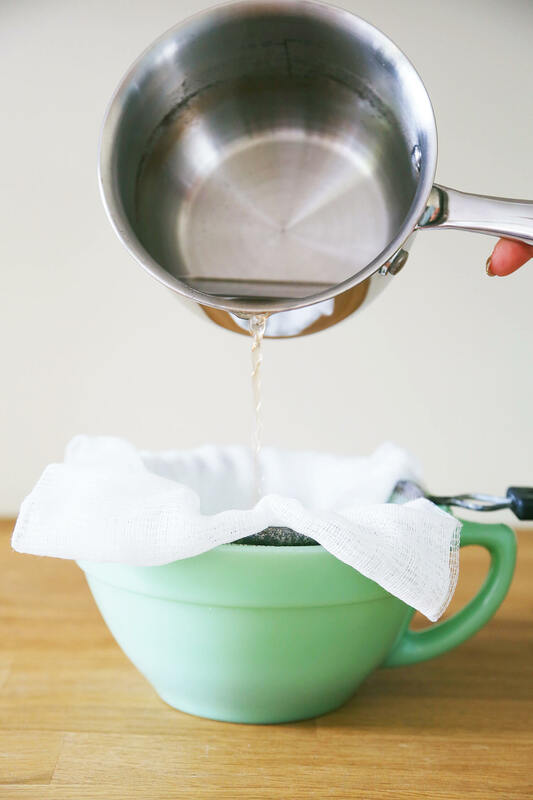 Use a fine strainer and a double layer of cheesecloth to strain out the allspice. You can store the syrup in a jar or bottle. This will keep for up to one month refrigerated. If you have allspice liqueur on hand you can add a 1/2 oz. of that to the syrup as well. It will add more flavor and keep it fresh longer. 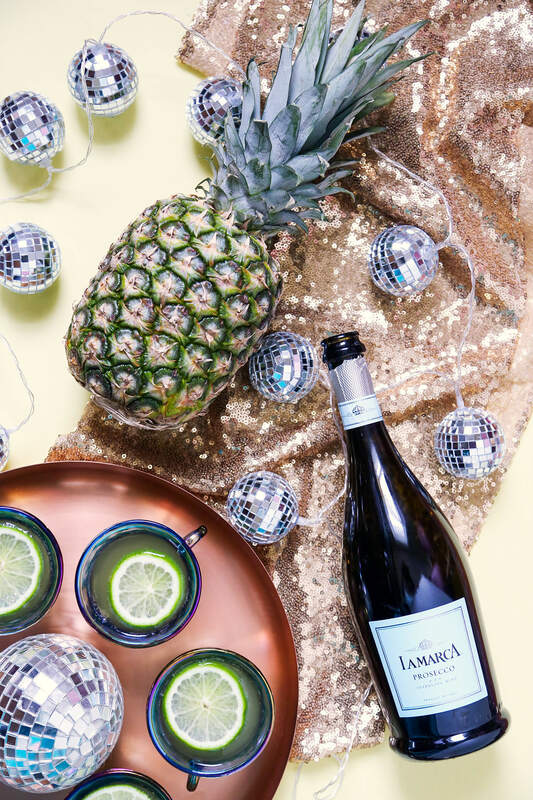 To make your Pineapple Champagne Punch add all your ingredients to your punch bowl, pouring the sparkling wine last.Easy peasy. I made this batch with one bottle of sparkling wine. My suggestion for a boozier punch is to use two bottles. It will also help dry the punch out a tad because it’s on the sweeter side. I made a large format ice cube by using a bundt cake mold. 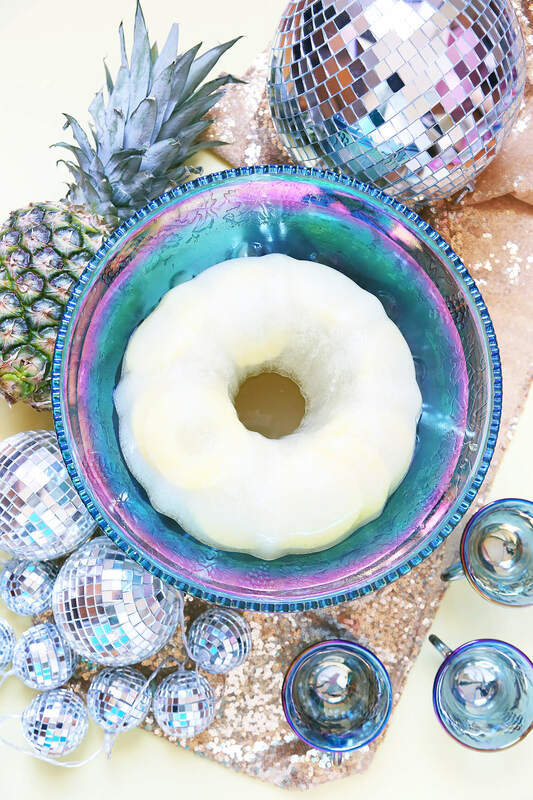 Freeze pineapple wheels, a little pineapple juice, and water in your mold. This keeps your punch cold longer and doesn’t over dilute it. 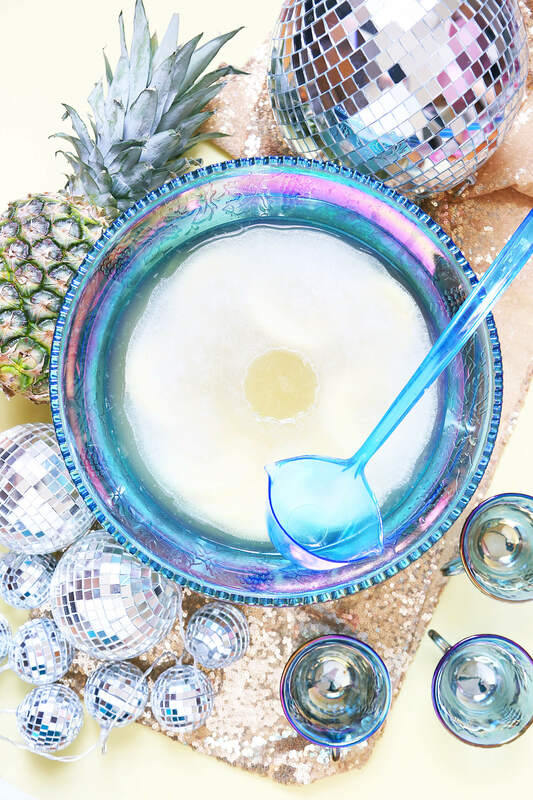 This Pineapple Champagne Punch was so delicious! I can’t wait to make it again for New Year’s Eve. Even though I made a special syrup for the punch it was still fairly simple to put together. You can make the syrup days ahead of time to make assembly even easier. The allspice added tons of flavor and complemented the rum, cognac, and pineapple perfectly. 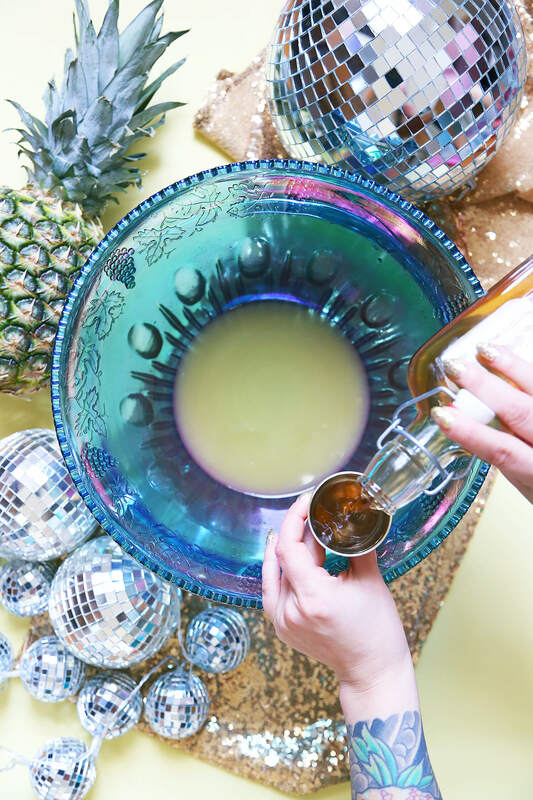 Allspice and pineapple are a common pairing in a lot of classic tiki drinks and that’s where I got the idea for this Pineapple Champagne Punch.